representing a client in negotiations on the terms and conditions of art related projects and transactions. He represents clients who are entering into a legal relationship with galleries and artists, usually contractual whether verbal or written. Art transactions is largely unregulated market, attribution, authenticity, ownership and condition of paintings, sculptures, drawings, photographs, prints and ceramics are a perennial issues in these transactions. 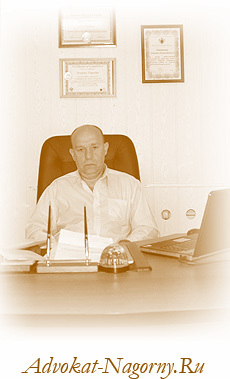 To make sure of the clients interests, Evgeny Nagornyy has been diligent about to check the provenance of the artworks to avoid case raises the issue of the plight of those who have bought looted artworks in good faith and future potential disputes which can cause distress, inconvenience and expense. He makes a legal assessment of transactions including copyright and rights of ownership. (See "Some Rules of the National Legislature with Export Artworks from Russia"). Civil Code of Russian Federation. Part Four.